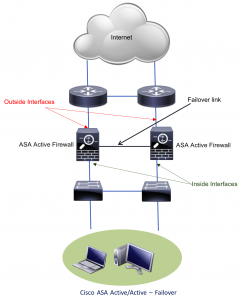 The Cisco ASA Firewall with FirePOWER services can be deployed in Active/ Active failover, in this mode the ASAs must operate in multiple context mode. Cisco is relying on failover groups for active Active/Active failover mode. A failover group comprises of logical groups, of one or more security context. 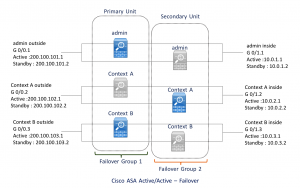 In Active/Active failover mode , both units of Cisco ASA Firewall with FirePOWER services can pass the network traffic, however the traffic load is split between members of the failover pair in such a way that each unit will be active for some set of security contexts. The Cisco ASA Firewall with FirePOWER services can support up to three fail over groups in Active/Active failover mode. This is a hidden group which cannot be modified and it hold system context as its member. Group 0 have huge dependency on Group 1 as Group 0 remains active on the ASA unit where the group 1 is active . The admin context is always the part of this group and any newly created context are added to this group by default. By default the primary ASA Firewall with FirePOWER services unit always own the Group 1. Physical interfaces of the ASA Firewall with FirePOWER services cannot be shared between contexts belong to different failover groups. When failover occurs, a single physical ASA unit must carry all the traffic load which was shared by two ASA units. In this state all traffic passing though the ASA will stop. Multiple LAN subnets which needs a logical separation though different firewalls. 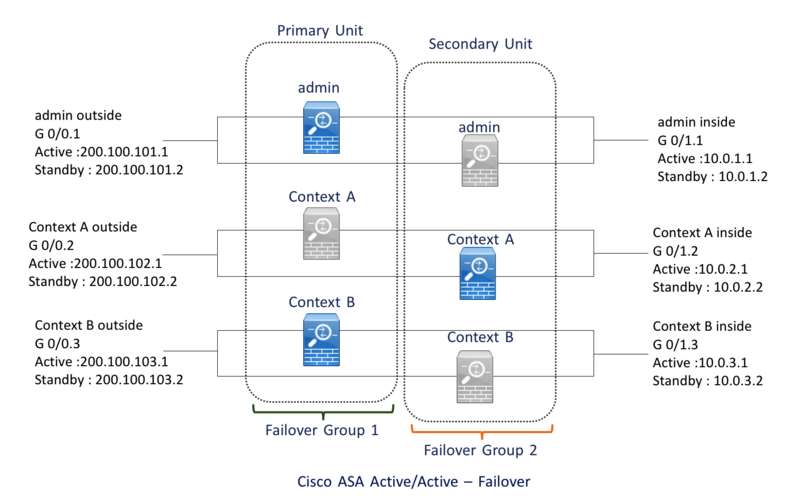 However looking at the limitations of Active/ Active failover deployment model one can consider clustering of Cisco ASA with FirePOWER modules as they provide much better HA solutions for load sharing scenarios.